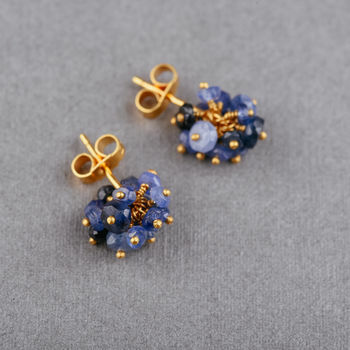 Feminine and unusual little sapphire and gold vermeil cluster stud earrings. 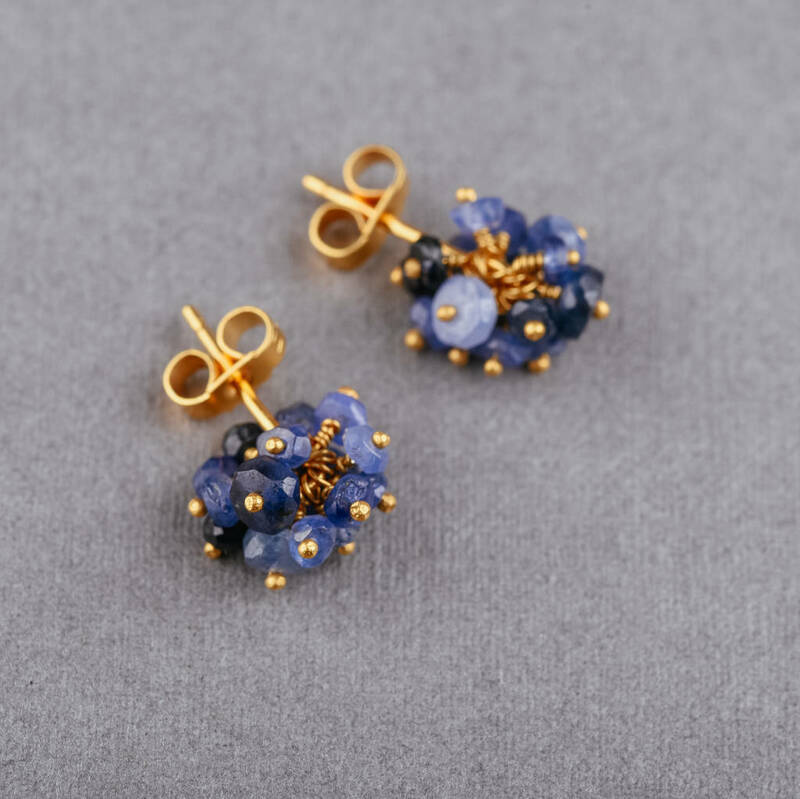 Hand-beaded using tiny faceted sapphires in shades ranging from navy through cerulean to palest baby blue. Choose from yellow-gold vermeil or oxidised silver. Sitting close to the ear, these are so easy to wear – perfect earrings for everyday to add an easy feminine touch. 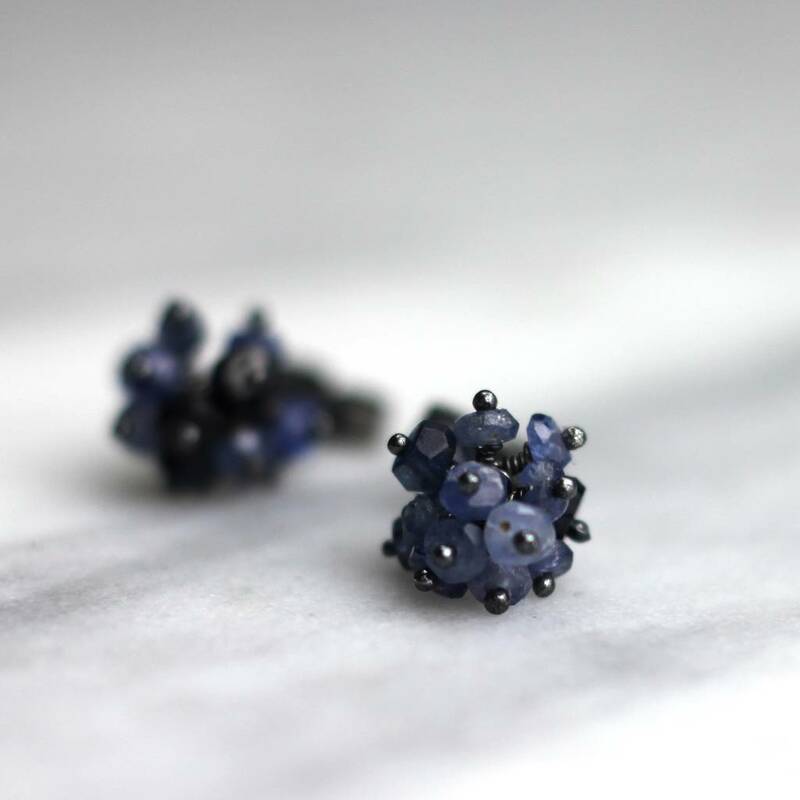 These would also work as a bridal earrings if you’re looking for a subtle 'something blue' to finish your look. Choose from yellow gold vermeil or oxidised silver. This product is dispatched to you by Kate Wood Jewellery.